Just now adding RAIN and RASPBERRY large cones…smell delicious! Check them out to see if they are the ones you need now. Is it brighter in here or what! Yesterday, while we were closed L.C. Electric (575-312-9509) came in and changed all the old florescent lights to the new ones…El Paso electric co paid 95% of the cost and we paid the 5% remaining…so it is brighter and is supposed to save money on the monthly bill. Great people, they did a good job, were polite and efficeint. all of our merchandise looks better in the better lighting! Getting used to better light in the office also! So, if you like to drink Tea but are bothered by the caffeine, here is the solution…Decaffeinated teas in several flavors, that now tastes like tea should and retains all the healthy benefits we find so desirable. The decaff process has come a long way from the unspectacular efforts it used to produce. The company that I get these teas from uses the new and revolutionary ‘Canadian Chemical Free CO2 Process” that removes the caffeine without any chemicals, leaving the natural proteins that give tea, Camellia Sinensis, its flavor. * Decaff Black Currant…This is a luxury decaffeinated tea with an intensely black currant flavor that reminds one of a warm summer day among the currant bushes. $4.20 oz. Black Currant Decaff Loose-leaf Tea...smells delicious! Decaff English Breakfast . Drinking decaff teas allows those who are caffeine sensitive to reap the health benifits of tea..
tive to reap the health benefits of tea without getting the jitters. 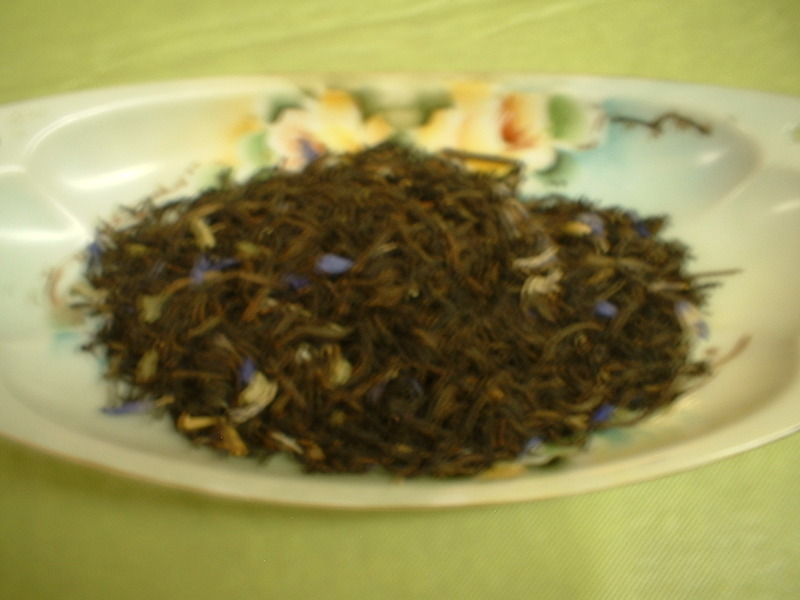 Decaff Irish Breakfast…This special tea, grown in the landlocked country Zimbabwe (formerly known as Rhodesia) and uniquely decaffeinated at the tea estate while the tea is in the green leaf stage ,resulting in one of the best decaff teas in the world, retains its bright color and full-bodied character. you will be amazed at this bracing tea! $4.20 oz. 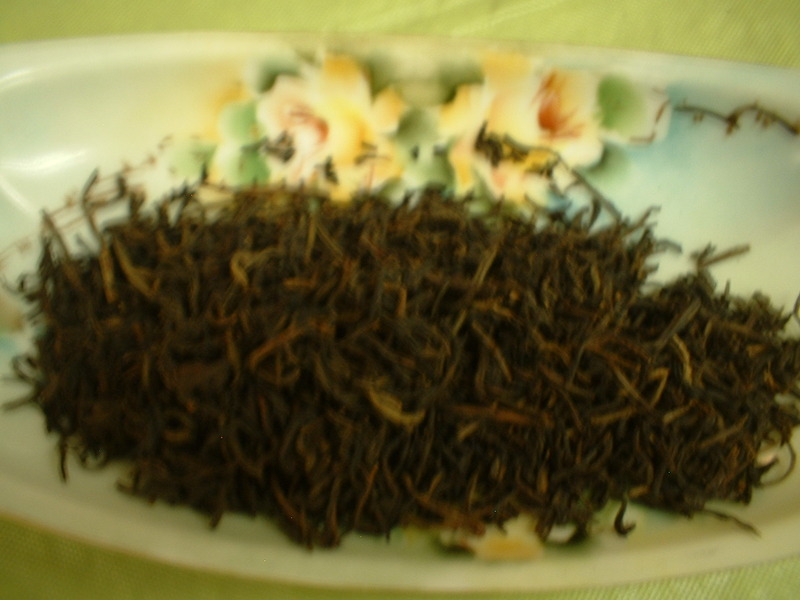 Decaff Peach Apricot…A base of the finest high grown Ceylon Tea, this has a sweet character with smooth and intense peach/apricot flavor. Contains freeze-dried peach and apricot, blackberry leaves, sunflower and Calendula petals and natural flavors. Acceptable to drink ‘straight up’ but equally good with milk and sugar. $4.20 oz. Decaff Strawberry…Strawberry Tea is one of the most popular of the flavored teas and this luxury Ceylon tea, containing freeze-dried strawberries, so yummy you will want to drink it every day. Equally good hot or iced, ‘straight up’ or with milk and sugar. $4.20 oz. 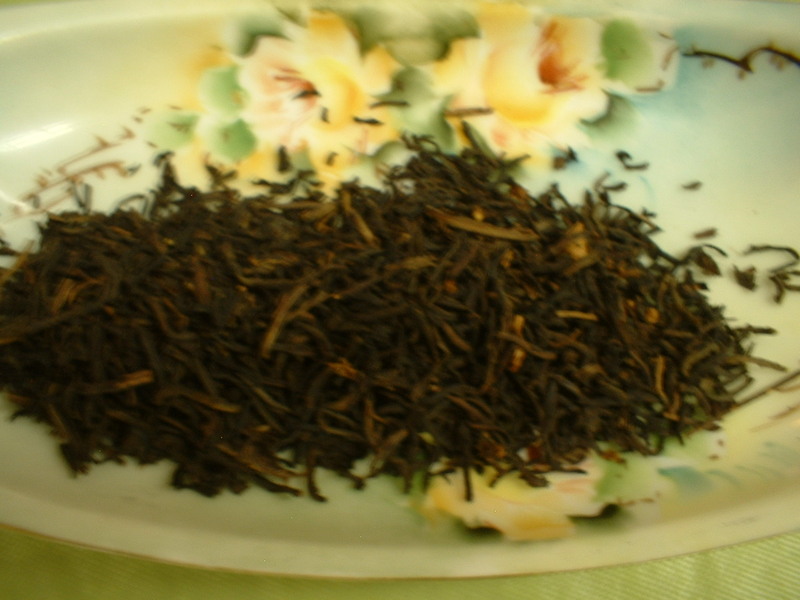 Decaff Earl Grey…A full flavored cup tending bright with excellent Earl Grey notes from natural oil of bergamot, and an unbelievable aroma leading to an unbelievable taste. A decaff tea to feel good about! $4.20 oz. Musk…Ocean Breaze…Nag Champa…Honey Dew, (not Honey do, but I am on the lookout for that too!! )…and Eucalyptus. Plus all of our other bins have been refreshed as well. Good scents such as Red Dragon, Sandlewood, Patchouli and Egyptian musk. Still for the very reasonable price of 10 for $1.00! Cone incense table got a remake today! 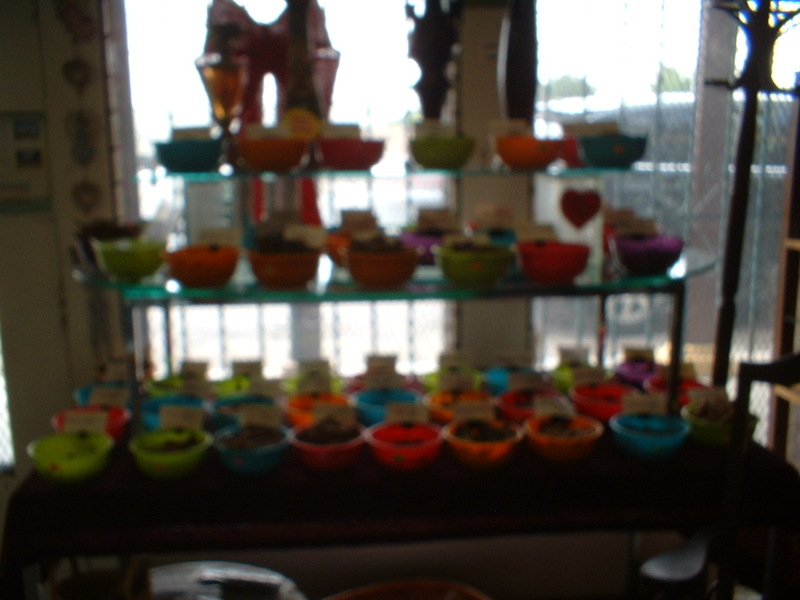 Cone incense table has a new glass shelf...more room...more scents coming next week!Organized!!! Easy to find your favorite. 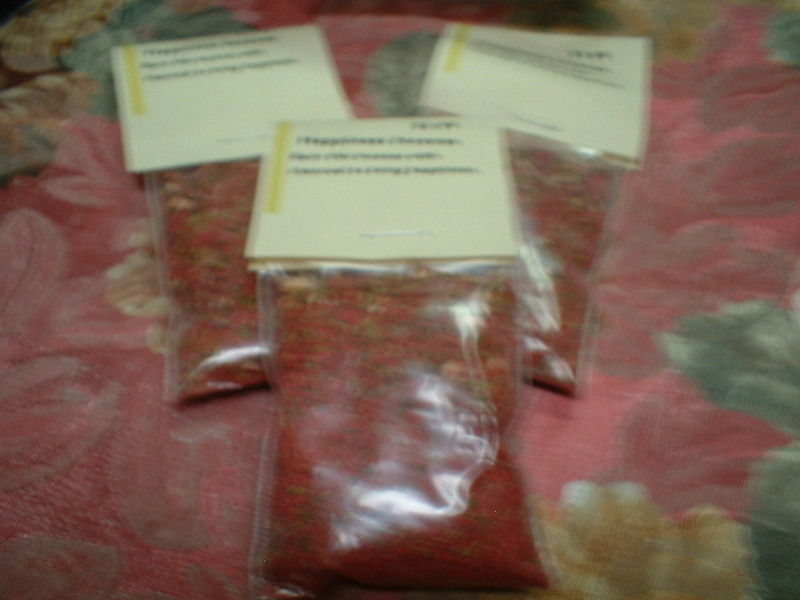 Celebrate your happiness when you burn this cheerful herbal blend! 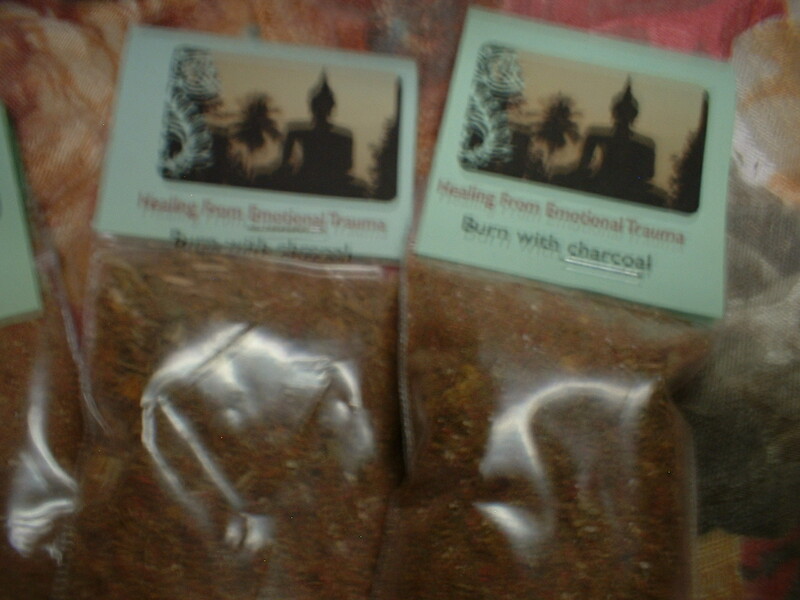 This soothing and gentle incense will help you recover from heartache and bruised emotions. receive the benefit that you need and expect.